Some say it is ugly. The pale red hillside before me. But this, my friend, will never be ugly. A classic case of learning to see the forest, the mountain, not just the individual tree. Early morning. Now it is light enough to see color. There it is, across river, the view before me as I sit at the table and sip my coffee, the reddish brown that showed itself like a crown at the beginning of the season now spreading, pouring down the slopes like the water that eludes us. We are increasingly familiar with this scene. Red spruce; they once were Blue. Next year they will be brown. And in a few more years, grey. There is new growth hiding in there. I know. And they say the Aspen will thrive and spread upward like wild fire along the dying path of the Spruce. 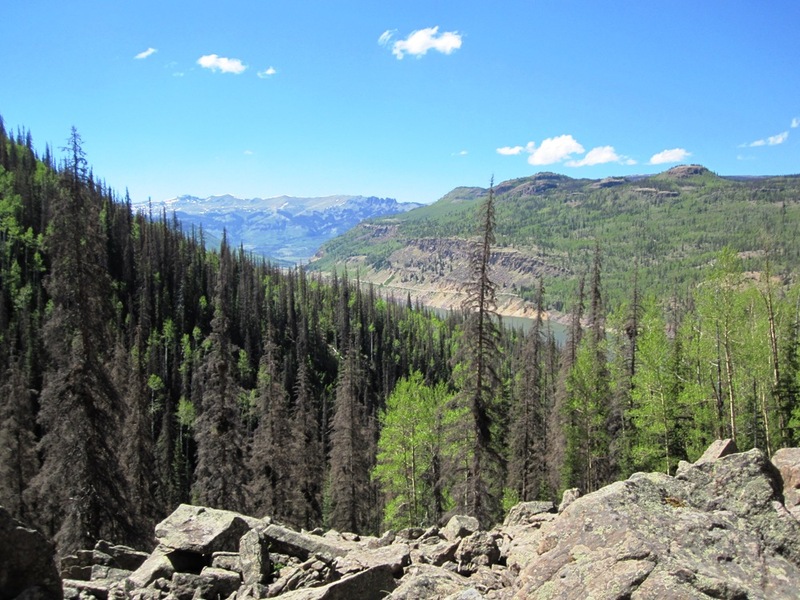 But we see the affects of long term drought there too where on many a south facing hillsides, the established Aspen groves are losing up to fifty percent of the trees. Their thin bark turning an odd shade of orange with their last burst of failing life. Tell tale signs we learn to read. In other areas, we see new young saplings, perhaps four or five years old, bending like grass in the wind without the strength to stand tall. I say this without emotion. Without opinion. Simply observation. Take it as you like. Call it what you will. 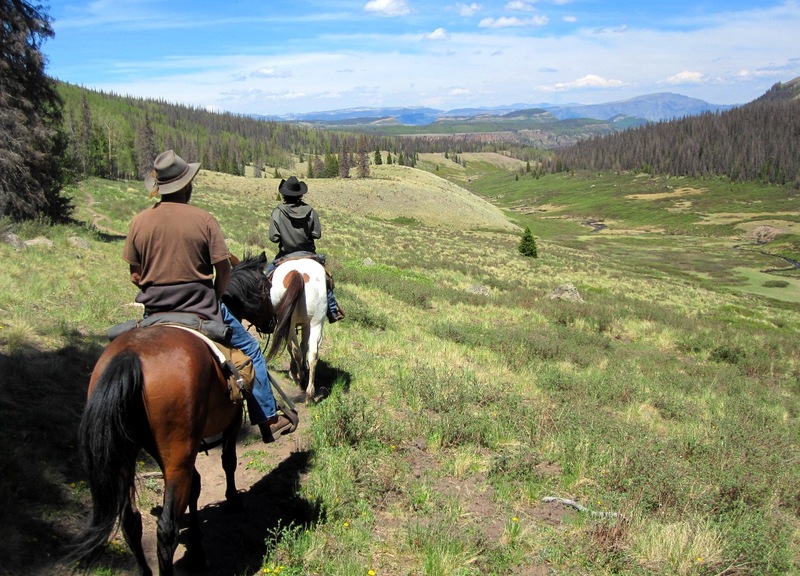 Yesterday we rode up Weminuche Pass in the Wilderness to inspect the ditch. Riding through the light of needless trees. Red and brown and grey. Wind blows and needles fall like hail, tapping a steady tune against the rims of our felt hats. One can see farther, deeper, more light makes it through the deep forest. Our horses kick up dust on the trail, making it look like riding through smoke, an old Western film or a premonition of what will be. So, Gin, are the beetles killing every type of spruce tree? I was thinking it was just the Englemann Spruce or are they one in the same? Seems like nothing is safe from the affects, Karen. Yes, the Englemann are hit too. And the Sub Alpine Fir have their own diseases, a fungus I believe I was told, they are battling from the conditions, wiping out large groups of them as well. So fascinating… this documentation, this archiving of climate change. History in the making.